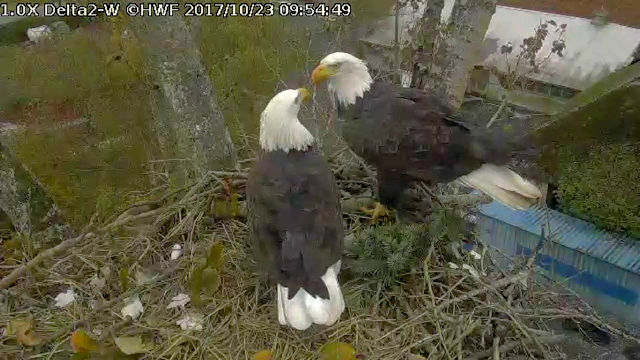 The eagles at the Delta 2 nest have been hard at work rebuilding their nest for the 2018 season – perhaps they are discussing where to put the next branch! You can read more about them and see lots more pictures here – https://hancockwildlife.org/forum/viewtopic.php?showtopic=1033698. The screenshot was captured by forum member SueB.